I love casual and easy outfits! I almost never wear red and I don´t really know why…Maybe because it´s too flashy or because it´s too hard for me to find cool pieces in red. 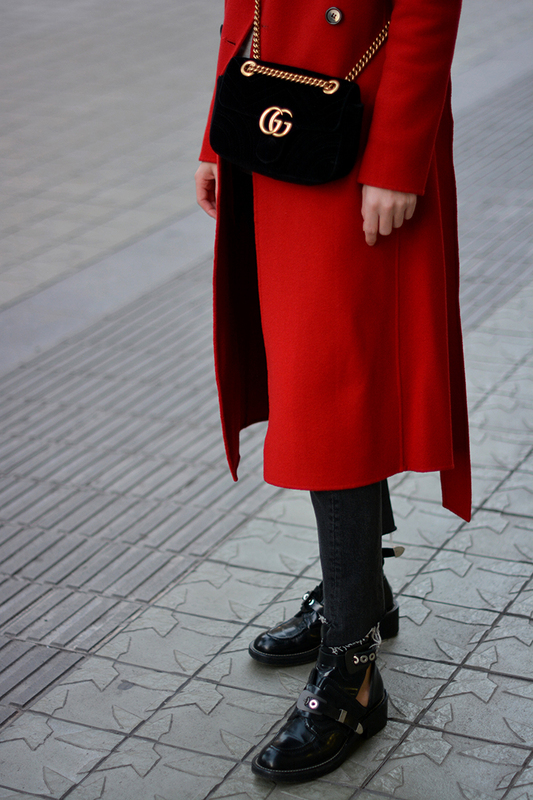 The other day I was checking out Tara Jarmon´s outerwear and I fell in love with this wool red coat. I love the fit and the quality. The handfeel is soft and that makes it even more cosy. I chose to wear it with a super easy look; a pair of black jeans, my ERDEM x H&M hoodie, which by the way became my favourite, Balenciaga boots and my Gucci monogram in black velvet.